If have already purchased this book or made any purchase at GrishaStewart.com, please log in with the user info you created and refresh this page. This is a special page for people with a coupon code. To use your coupon code, please complete this form. If you do not have a code, please visit the regular Ahimsa Manual page. The regular price is $9.95. If you have a coupon for a free book, enter that first and click APPLY to remove the payment options. Registration comes with a free sample of the Animal Building Blocks Academy. 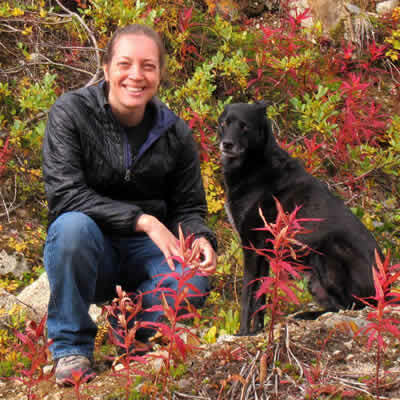 "Of the thousands of dog training books out there, it's rare finding one that has something new to say or presents the science of positive training in a unique and meaningful way. Grisha's new book, the Ahimsa Dog Training Manual, does just that. Clear, concise, informative and extremely user-friendly, this book deserves a prominent place on every trainer's bookshelf." *****"This is it! This is the easy-to-read, concise handbook that every responsible dog owner will want to read. This manual spells out practical, step-by-step training solutions while educating the reader on the science behind the theory. Grisha is the leading authority on Behavior Adjustment Training, and shares her unique method of bringing about change in a positive, force-free, and fear-free environment. 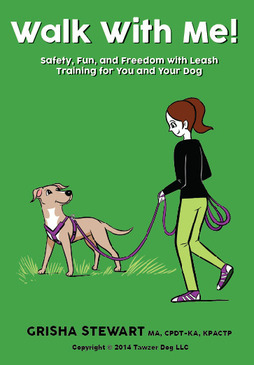 This book also shows us a way to teach loose-leash walking that is free from frustration and maps a clear strategy for us to follow. Renowned Stunt Dog Performer and author of best seller "101 Dog Tricks"
*****When Fido arrives at the intersection of Good Dog Street and Bad Dog Alley, which way will he go?" asks Grisha Stewart in her book, The Official Ahimsa Dog Training Manual: A Practical, Force-Free Guide to Problem Solving and Manners. Grisha's book can help you manage Fido's environment and train him to make good choices. She offers a variety of force-free ways to train common behaviors, and her writing is always engaging and as friendly as her methods. Your dog will definitely enjoy your training sessions based on this book." APDT Past President and of "Your Outta Control Puppy," "Super Simple Guide to Housetraining," "Quick & Easy Crate Training," and "Puppy Care and Training"
Previous PostHow Do I Get My ‘Donkey Dog’ to Stop Lagging?Next PostHow Do I Get My Dog to Stop Barking (and not Start Again)?